Collaborative Financial Partners - Professional, outside of the box thing, transparent advisors in Columbus Ohio. Chris has been a financial advisor since 2002, he became a platinum financial advisor in 2010, and a Private Wealth Advisor in 2014. He believes in holistic financial planning and he focuses on your goals, investments, insurance strategies, wealth preservation strategies, and estate planning strategies. He graduated with a BBA from Ohio University in 2000. He holds the CRPC® Chartered Retirement Planning Counselor sm, AAMS® Accredited Asset Management Specialist, and AWMA® Accredited Wealth Management Advisor designations from the College for Financial Planning. He is also “Certified in Long-Term Care.” The CLTC is a designation granted by the Corporation for Long-Term Care Certification. Graduates have completed a rigorous multidisciplinary course that focuses on the profession of long-term care. Lastly, Chris is also a Certified Estate Planner™. The CEP® is a financial, legal, or tax professional who has earned a distinctive educational certification through the National Institute of Certified Estate Planners (NICEP). 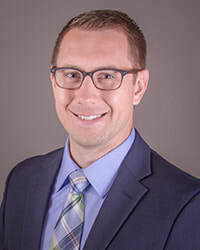 Chris is the co-founder of Collaborative Financial Partners LLC, a Registered Investment Advisory, practice that provides personalized client service and is dedicated to meeting the complex and unique financial needs of their clients. Chris has been recognized as Forty under 40 in Columbus, Ohio by Business First. Chris wrote the white paper “The Missing Link in Estate Planning.” He was also recognized by the Ralph and Luci Schey Sales Centre as the 1st Annual Young Alumnus of the Year in 2012. Chris is currently the Co-Chair of the Development Committee of Junior Achievement of Central Ohio and a member of both the Board and the Executive Board. He has been involved with Junior Achievement since 2010 when he started teaching in the classroom. Chris is also involved with New Directions where he donates his time. Chris is a member of the Financial Planning Association of Central Ohio and was previously on the Philanthropy Committee. Chris has been involved with Ohio University since 2004 when he became a member of the Professional Sales Advisory Board and was a Co-Founder of the Sales Centre Alumni Society. He is currently serving on the Executive Board for the College of Business Marketing Advisory Board and serves as the Past-Chair on the Board for the College of Business at Ohio University. Chris has been married to Karri, who he met at Ohio University, since 2003. Chris and Karri have a son, Colin, born in 2007, a daughter, Kendall, who was born in 2010 (they were both born on the 2nd of September), and a daughter, Elliott, born in 2015. ​Meghan graduated with a BSBA from the Fisher College of Business in 2004 at The Ohio State University where she majored in Risk Management and Insurance. Meghan is a Chartered Retirement Planning Counselor sm. Furthermore, at the end of 2011 she earned the CFP® professional designation. The CERTIFIED FINANCIAL PLANNER™ certification is recognized as a standard of excellence for personal financial planning. In 2013, Meghan earned the RICP® designation. The Retirement Income Certified Professional® designation is awarded through The American College and focuses on creating sustainable retirement income strategies for clients. In 2015 she earned her Master’s in Financial Planning from the College for Financial Planning. Meghan is the co-founder of Collaborative Financial Partners LLC, a Registered Investment Advisory, practice that provides personalized client service and is dedicated to meeting the complex and unique financial needs of their clients. Meghan built our T.E.R.M (Tax Efficient Retirement Modeling) Software, which was originally completed in 2014. In 2013 Meghan started to work with some of our clients in the technology industry to find a better way to take into account Pensions, Social Security, Distributions from Non-Qualified and Qualified Accounts, Roth Conversions, Annuities, and Life Insurance Policies to save clients hundreds of thousands of dollars in taxes when compared with "Normal Retirement Income Strategies". From 2013 through most of 2014, Meghan and Chris took time working with software engineers to build a complex, but easy to navigate program, that can be used to build an efficient tax income strategy. At the end of 2014 and into 2015, the software began to be beta tested by numerous other advisors in the industry. The software builds a path to effectively minimize taxes over the long-term life of a client's income stream while maximizing the distribution of wealth with efficiency. Meghan is a member of the Financial Planning Association of Central Ohio, regularly volunteers in the classroom for Junior Achievement of Central Ohio and serves on the Resource Development and Sustainability Committee for Dress for Success of Columbus. Meghan has been married to Tom since 2010. Tom owns his own pool service business, Endless Summer Pool and Spa Service, which has become a namesake in Columbus, Ohio since he started it in 2005. Meghan is extremely active and is consistently competing in Triathlons, Crew competitions and various types of races. In 2016 she completed a half Iron Man. Lindsay Wolf joined the team in January of 2018 as the Director of Investments. She works closely with Chris and Meghan on portfolios and investment strategies to maximize growth while working to minimize risk based on each client’s individual goals, needs, and personal risk tolerance. She enjoys active asset management, service, and solution enhancements for clients. Lindsay earned a B.S.B.A., Finance from Youngstown State University, passed CFA Level I, and holds Series 7 and Insurance licensures. 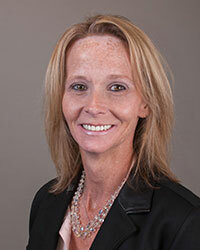 Lindsay is a financial advisor with 18 years of experience. Lindsay is originally from Warren, OH and currently resides in Howland, OH. 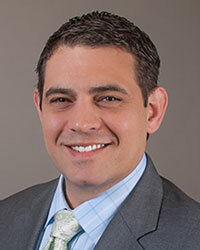 ​Chris has been in financial services as an advisor and educator since 2008. He has a passion to see clients steward their money well, increase their capacity for generosity, and give of their time, talents, and treasure toward the people and purposes for which they care most. Chris serves the community in various capacities: The Ohio Director for the National Christian Foundation; Generosity Coach at Good News Church in Powell, Ohio; on the steering committee for The Philip Heit Center for Healthy New Albany; and on the boards of Cornerstone Academy, Columbus Humanities Arts and Technology Academy, and Design Outreach in New Albany, Ohio. ​He is a graduate of Faith Baptist Bible College and earned his MBA from the University of Colorado. Chris and his wife, Meghann, met while teaching high school together in Colorado Springs, CO in 2009. They have two boys, Elias and Bennett, and all four love spending time with friends and extended family, playing, traveling, and outdoors enjoying God’s creation. Melanie joined the team in 2014 as an Operations Specialist. Melanie works closely with Meghan and Chris to ensure we are continually working to provide the excellent solutions and processes to achieve our clients’ goals. Furthermore, Melanie handles all of the day-to-day operations of the office and manages the team. Melanie took some time off from her career to raise her children before joining our team. Previously, she was with Cardinal Health for 15 years where she spent 10 years as a Pricing and Contracts Supervisor. Melanie is married and has two sons. She is originally from Columbus, Ohio and graduated from Hilliard Davidson. Joi joined the team in 2015 as a Client Service Coordinator. Joi does all the scheduling, works with Kelly on Marketing and Client Appreciation events, and keeps Chris and Meghan focused on helping clients. Previously, Joi has held a variety of roles at the Gap, including a Trainer, a Supervisor, and a customer service representative and prior to that ran a temporary staffing agency office. Joi is married and has two adult children. Joi is originally from Columbus and is a proud graduate of Brookhaven High School. In 2016 Joi completed her Associates Degree in Human Resources and in 2018 received her Bachelor of Business Administration.